Supports all the usual Ola booking features including Cab, Auto, Ola Rentals and Ola Outstation. 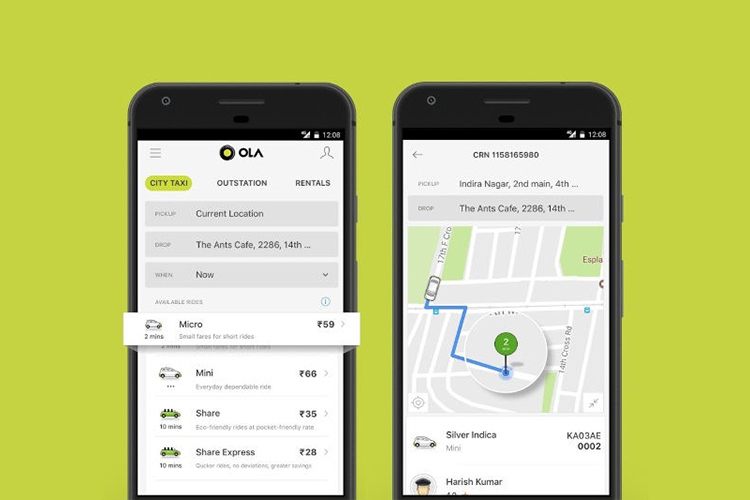 Ola has a lot to gain from the launch of this app. Considering the fact that its main rival in India, which is Uber, is not present in most of the smaller towns and cities, if the company can establish its authority before Uber enters that market, it will gain a huge upper hand. The app is live on the Play Store and can be installed on Android devices. 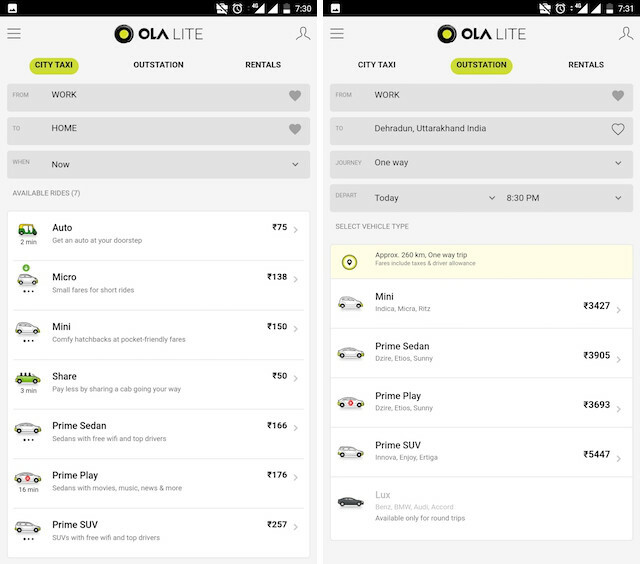 For obvious reasons, Ola has not released the Ola Lite app for iOS devices.